It’s time to sell your home. The house you have lived in, loved in, shared and worked in for quite some time.This building becomes more than a mere structure; it is part of your life. Naturally emotions come into play and one begins to feel that there is something special about this structure that perhaps other houses in their neighborhood may have. It is human nature to feel this kind of affection for your home. The affection can help you take care of the property and even help you relax in this loving environment. However, when it comes time to sell this building you call home please listen to your agent. They see dozens of homes each week and have access to your competition currently on the market. They do understand your feelings of attachment to this home and most are very empathetic when it comes selling this piece of your history and how it feels. One facet of an agent’s job is to be your neutral partner that can help you see how your property compares to the competition. They truly do have more information, knowledge, and experience. They even know more about this particular market than any show on HGTV could ever know. Talk and talk and talk some more with your agent. And after you share your thoughts, feelings, concerns and worries with them, trust them. If you have chosen an agent based on their professionalism and communication, (the best place would be from Stovall Realtors) then remember that they have knowledge and experience you do not have and they truly want to be successful on the sale of your home. They don’t make money unless they are successful. Help both of you be successful by listening to their advice. 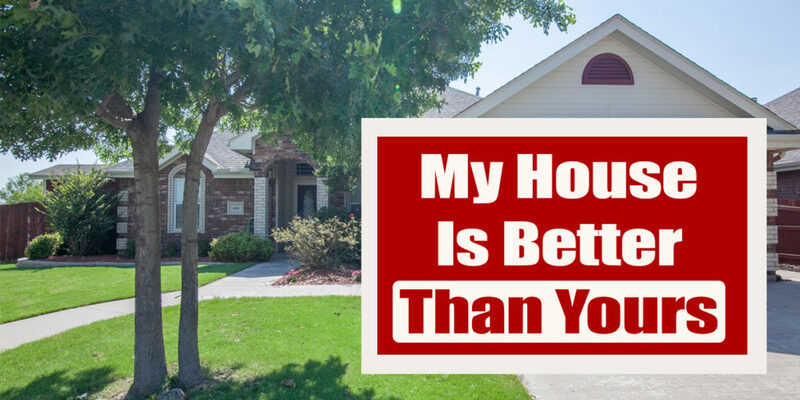 Your house is special because you are in it! Take that specialness with you when you move, but trust your agent to make this a special place for someone else.